One of the latest business ventures to commence in Broken Hill is a dream come true for Claire Haynes and one that has been a long time coming. For Claire the opening of her new shop, The Tiny Cactus, started as a collection of aspirations she collated in a book. Claire’s passion stemmed from her own line of handmade silver jewellery, which she named Tom and Doris Designs in honour of her beloved grandparents, one off pieces of clothing and a variety of homewares. ‘I am looking to create a vibe that is different, funky and fun. I wanted people to know and feel that when they walk through the door they could be anywhere and are always welcome’. Claire’s parents were born in the UK, Claire spent her childhood between the NSW Central Coast and London. Having moved around quite often, Claire settled on the Central Coast where she met her husband Tim who was from Broken Hill. Tim often mentioned how much he enjoyed returning to Broken Hill to visit his family and when it came time for him to complete his medical placement, as he was a medical student, Broken Hill was a favourable option. However, Claire was hesitant because she had always lived close to the ocean or a bigger city. Thanks to the significantly affordable housing in Broken Hill, Claire and Tim were able to buy a home and make it their own. ‘We now have a home that has character and history, I couldn’t have even dreamt of owning anything like this house in other places that we have lived. 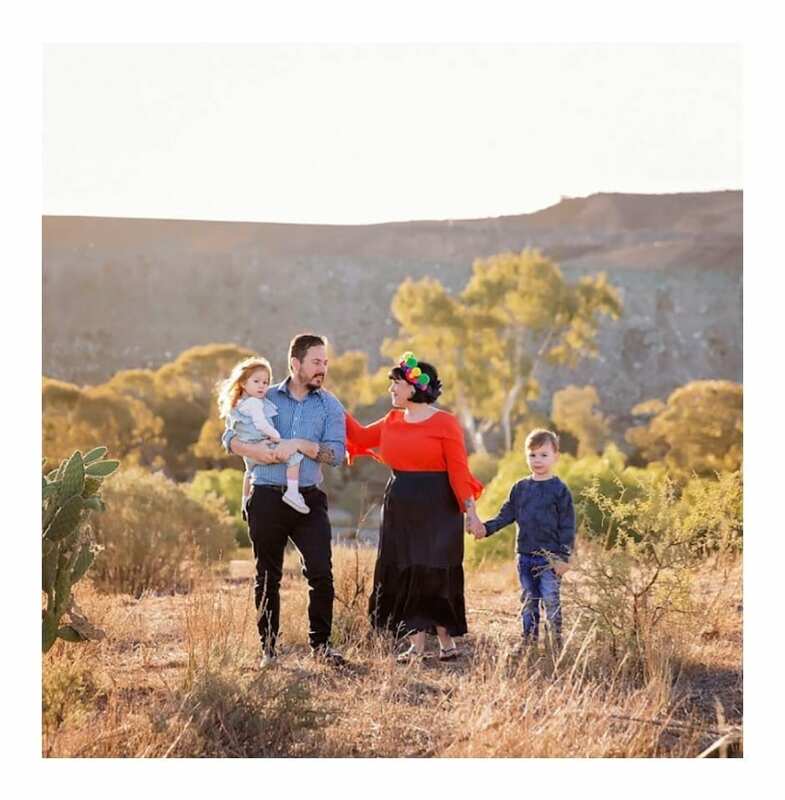 In a family situation like ours, with young kids, it’s an opportunity to provide yourself and your kids a lifestyle you wouldn’t get anywhere else.’ Claire believes that ‘Broken Hill is unique, it’s something that you can’t really experience anywhere else. It really is an amazing town and I’m telling everyone to come out here because I can absolutely see the beauty.’ ‘I can’t see myself living anywhere else, it’s an amazing town’ said Claire.